Want to win Sigma's synthetic face brush kit? 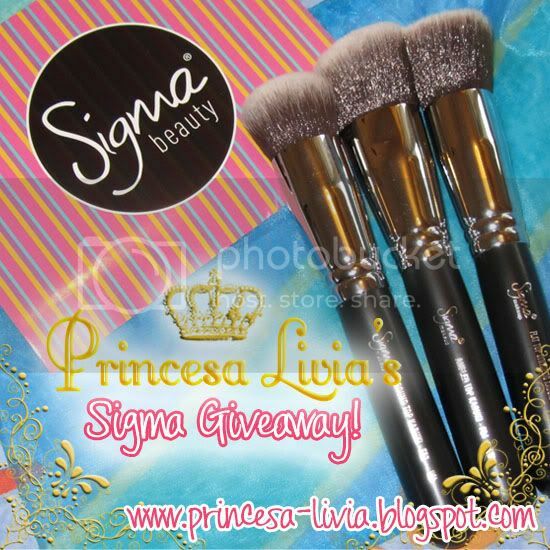 If you do then make sure you enter Princesa Livia's giveaway on her blog. 3. Blog about this giveaway, including the picture above and rules of the giveaway, and link back to the contest blog post together with the comment from #2! You can enter as many times as you like, as long as you blog about this giveaway!